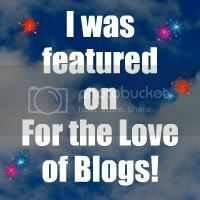 I have been MIA and neglecting my blog lately. I have been busy with Real Life Stories and getting the introduction letter out. Those finally were sent and now I have a meeting Aug. 11th so pray people show up who want to volunteer. Here is the letter I sent...without the letterhead obviously. Losing a loved one is never easy. When the loss is sudden or tragic you are never prepared. And in the many difficult days ahead it is hard to know how to cope and where to turn. 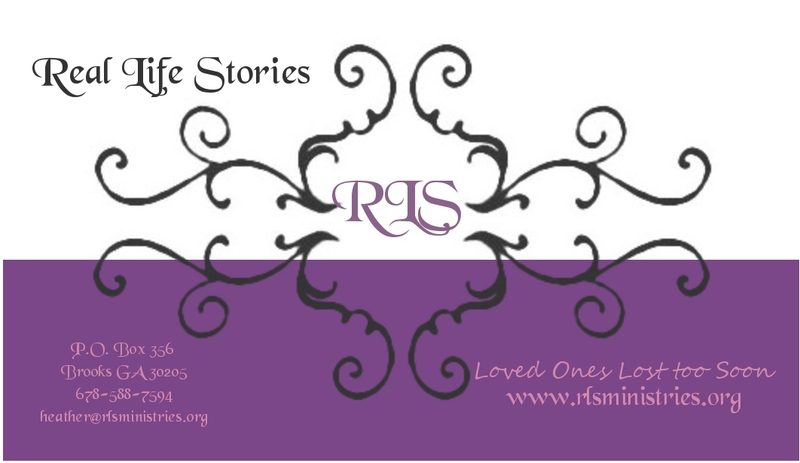 Real Life Stories (RLS) is founded on the purpose to provide community outreach for the survivors of loved ones lost too soon. The goal is to establish a community where God’s Word provides hope, strength, comfort, peace, and support. Real Life Stories will be focused in the South Atlanta area. There are very few resources available to those who are facing one of the hardest or the hardest struggle of their life. At a time when you feel hopeless you need someone who can walk beside you, lend an ear, and give you hope in the face of tragedy. The only answers we will find were written centuries ago and still hold true today. Providing each of us with the way to get through it, the courage to go on, and the place where you will find rest. Care Packages, testimonials, meetings, remembrance cards, and support are a few services RLS wishes to provide. Those left to grieve need to know there is a place where they “fit” in, a place where their story matters. Life is full of busyness but knowing that you have set aside the time to help someone who is hurting, showing them your passion and care will bring tremendous fulfillment and can bring you comfort in the things you are struggling with. If you feel like this may be something you are interested in helping with, volunteering a small part of your time, or become fully committed to I invite you to meet with us August 11, 2011 6:30pm at Dogwood Church 975 Hwy 74S Tyrone, GA 30290. We need people like you to donate time, energy, and experience in a variety of areas. We plan to discuss ways to start our mission and see how many would like to be involved. We are also in need of those who are able and willing to provide some sponsorship to support this ministry with startup costs. Those who can help will receive a Real Life Stories T-Shirt as our thank you. The need for this is unfortunately far too big. It’s written on every front page newspaper and on our televisions every night. Together, we hope to make a difference in many lives and in many different ways. To contact Real Life Stories with any questions you may have or for help with a donation please contact us by phone, email, or by mail. Thought you might like to check it out and give me any feedback/suggestions. We also went on family vacation last week to Panama City, FL. The girls had so much fun. I will post some pics later. I have embarrassed myself pretty bad. Its one of those "you can't take back" foot in the mouth things. Wikipedia defines it as "Embarrassment is an emotional state experienced upon having a socially or professionally unacceptable act or condition witnessed by or revealed to others. Usually some amount of loss of honour or dignity is involved, " Which pretty much sums up my embarrassing moment. A huge amount of dignity lost and the unacceptable act was witnessed or shall I say revealed by others. I just might need to pray this one for a while. Full of humility, embarrassment and shame I will hope for forgiveness and seek God's direction for my faults. My award for the day! 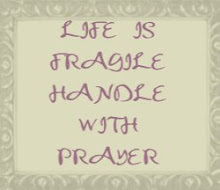 Thank you for sharing that beautiful prayer. I needed that one, too, as I am feeling a little bit of confusion in my life right now. I'm checking out your site for the first time tonight! So well said in your post! You have really been given a gift of the word! Looking forward to coming back and reading more. Wow, you are going to help so many people! Sorry I haven't been by to visit in awhile. Praying for you!